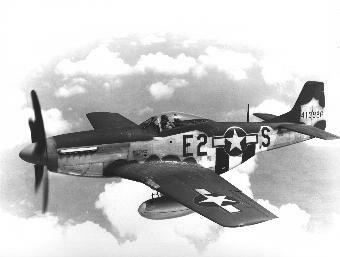 The P51Pilots.com website is dedicated to preserving the memories of the men and women who flew the P-51 Mustang in World War II and Korea. Browse our site and learn what it was like to fly one of the fastest and most powerful fighter planes in WWII. Hear combat stories about dive bombing, strafing, aerial dog fights, and getting shot down right from the pilots. Read pilot biographies . Remember our fallen comrades. And interact with pilots and enthusiasts in our Message Boards . Experience the P-51 Mustang like you never have before! P51Pilots.com was created by William Frederico, custodian of the P-47 Thunderbolt Pilots Association website www.p47pilots.com. Similar to the P47Pilots.com website, the goal of P51Pilots.com is to perpetuate the memory of the P-51 Mustang and the great men and women who flew her. Our goal is to create a resource that will personally connect generations of people to their past. This website will continue to grow as a perpetual resource and memory for generations to come. This page has been visited 202092 times.